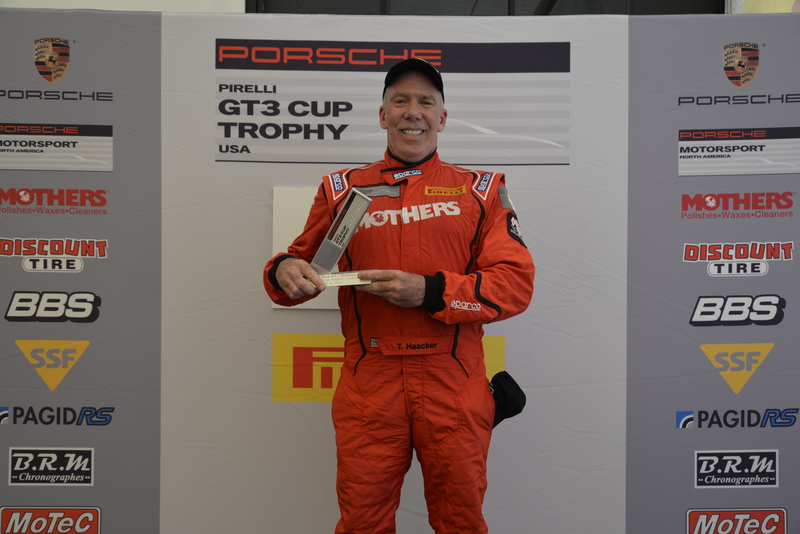 Thermal, Calif. – Even though it’s been several months since David Calvert-Jones has been behind the wheel of a racecar, he shook the rust off in a very big way on Saturday to take a flag-to-flag victory at the Thermal Club in Round 2 of the Pirelli GT3 Cup Trophy USA. 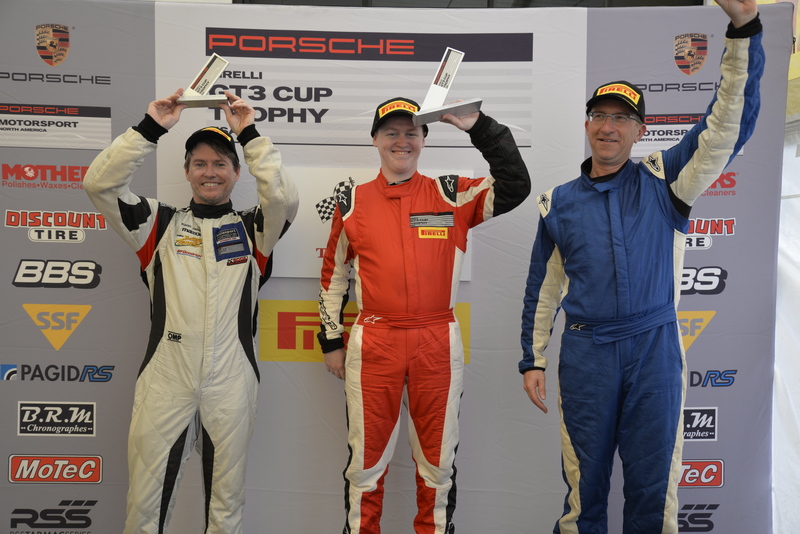 Driving for Competition Motorsports, the affable Australian converted his front row start into a winning run but not without some strong competition from his fellow Pirelli GT3 Cup competitors. 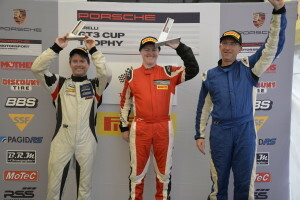 BR Racing’s Robert Todd, who won both races in the previous round at Circuit of the Americas, started from the fifth position after a huge effort from his team to repair his car following a practice incident. Todd moved his No. 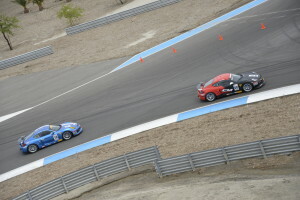 52 Porsche up to third through just the first corner and then made his way up to second by the second lap and to stage an ongoing challenge for the lead with Calvert-Jones through the first half of the race. Desiré Wilson, who took multiple class victories in Pirelli GT3 Cup Trophy USA action last year, rounded out the Diamond class podium. TruSpeed’s Tom Haacker delivered his second victory of the year with another win in the Platinum category, despite an issue with the ECU on his No. 45 Porsche. Meanwhile in the Platinum Masters division, a tight race developed as TruSpeed Autosport teammates Larry Schnur and Jim Slavik went head to head for the race lead. 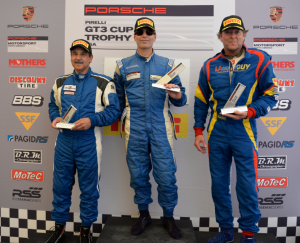 The two swapped positions throughout the race as Schnur and Slavik, who has a vast amount of experience at the Thermal Club, battled for top honors. 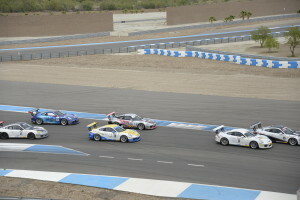 In the final laps, it was Schnur that came out on top with Slavik right on his bumper. 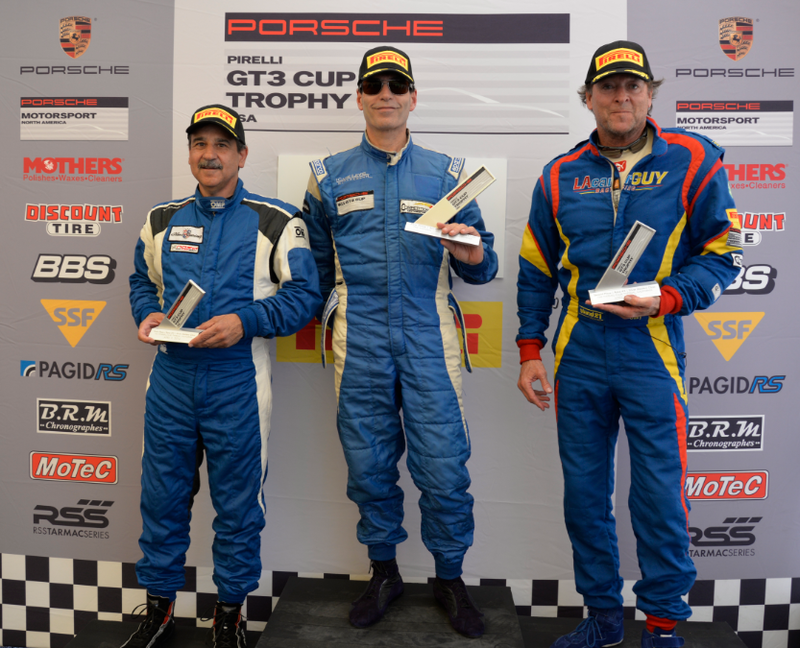 Joseph Sposato completed the Platinum Masters podium with his run to third. 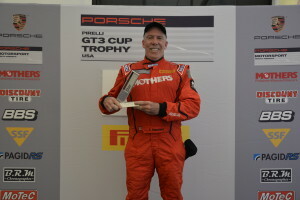 In the Silver class, championship leader Sean McAllister took the victory. 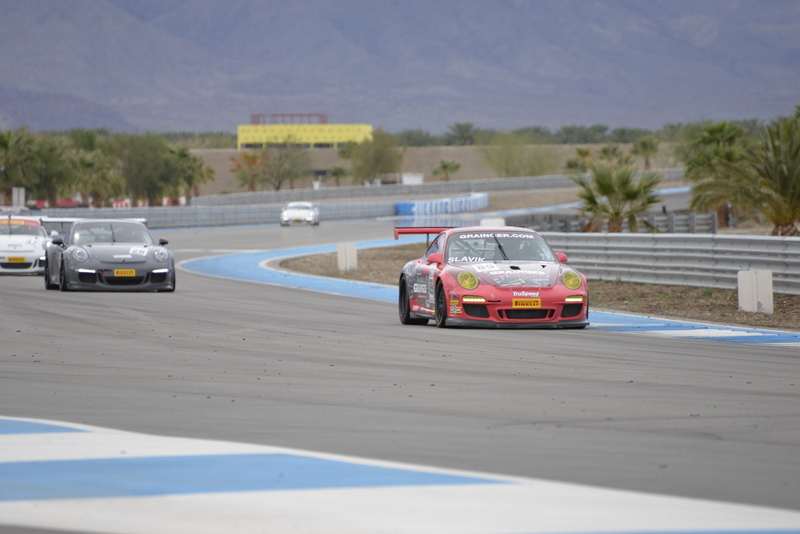 In just his third-ever car race, McAllister, 19, started from the pole position at the 3.1-mile scenic track located in the shadow of Martinez Mountain near Palm Springs. But the win didn’t come easily. 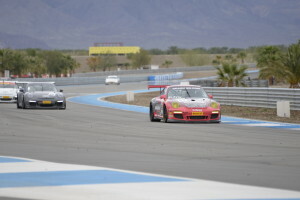 McAllister dropped to third behind fellow racers Keith Jensen and Patrice Gautier following the only restart of the race. But the young racer impressively collected himself and put his head down as he chased back down the leaders. In a matter of laps, he passed both Jensen and Gautier, returned to the Silver class lead and never looked back. 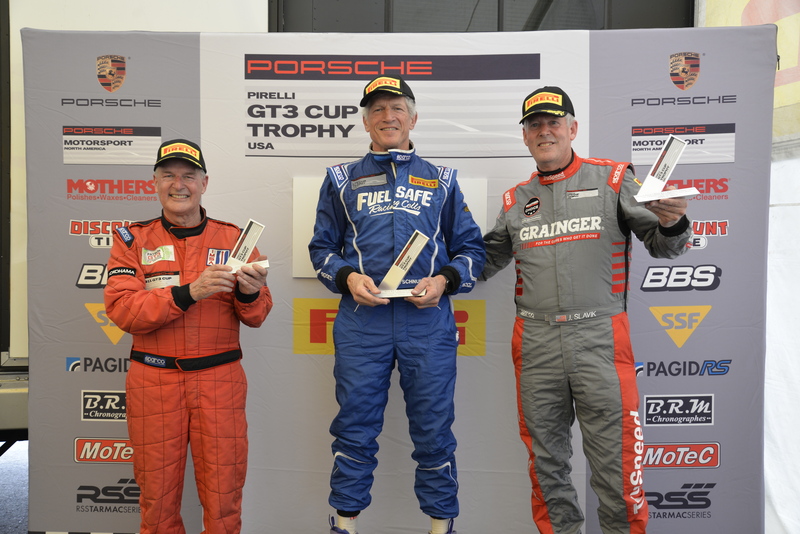 In the Silver Masters class, it was Steve Goldman who led flag-to-flag in the race that saw just one caution period. 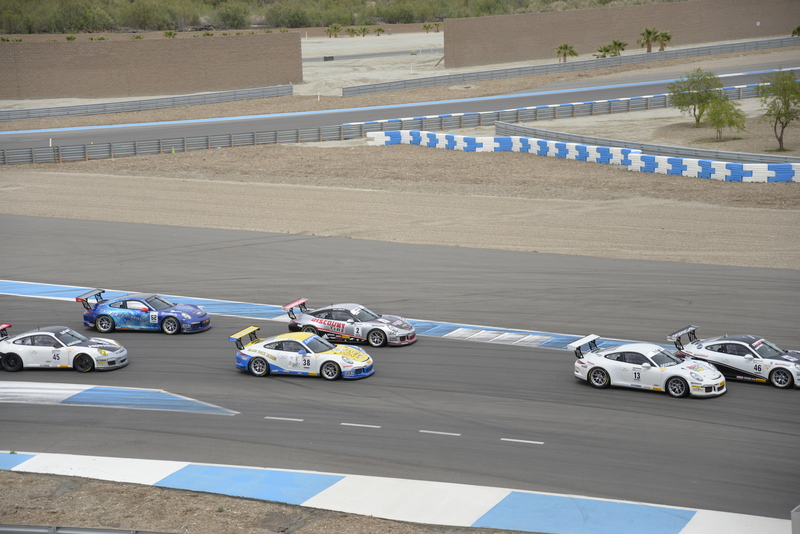 The Pirelli GT3 Cup Trophy USA will return to the Thermal Club for Race 2 on Sunday with the green flag set to fly at 2:00 PM PST. This entry was posted in News on April 9, 2016 by admin.